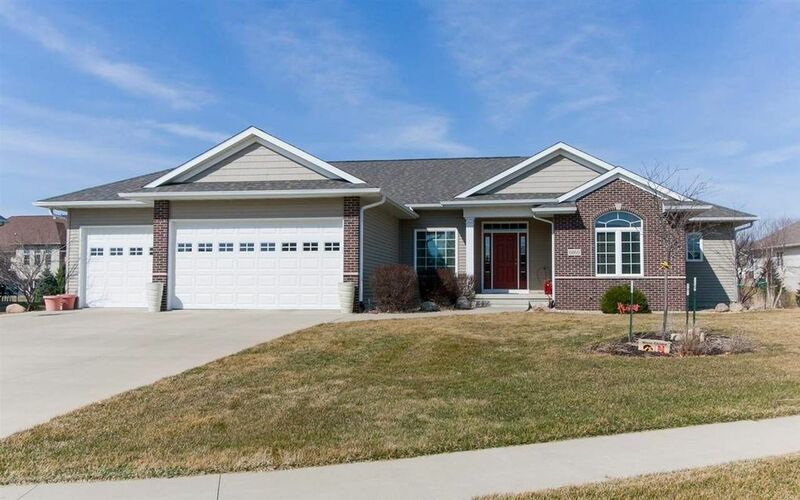 Must-see Ranch on beautiful cul-de-sac with easy access to Mt. Vernon Road, HWY 151 & HWY 100. Richly-stained maple hardwood floors throughout spacious main floor. Great Room with custom wood pillars & tons of natural light. Dine-In Kitchen offers quartz counters, island, stainless appliances & beautiful stained maple cabinets. Chefs will love the gas cooktop. Master Bedroom overlooks the landscaped back yard. En Suite Bathroom w/ dual sinks, jetted tub & spacious walk in closet complete the priv. retreat.